The faculty of the Clergy Leadership Institute brings together a diverse group of talented people with experience in the ordained ministry, contemplative spirituality, human resource management fields, organizational consulting, and training. In our work as faculty at CLI we come to integrate our theological, spiritual, and psychological backgrounds to provide training and resources that will enable clergy and church leaders to respond successfully to the personal and professional leadership challenges of this new century. 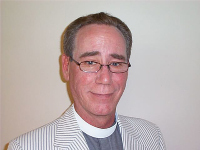 Is a New Zealand born and trained Episcopal Priest with over twenty years of experience in the ordained ministry. He has a doctorate in clinical psychology from Fuller Theological Seminary in addition to degrees in Theology, Counseling and Mechanical Engineering. 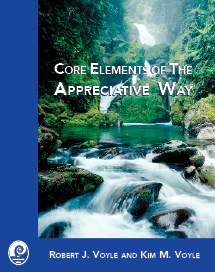 Rob was an original faculty member, and taught for five years at the College of Executive Coaching where he taught and coached hundreds of personal and executive coaches how to use appreciative inquiry as a basis for the coaching work. He is also the Coordinator for theTransitional Ministry Network. 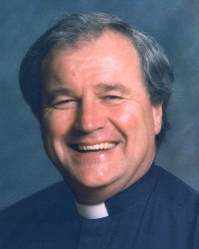 Was elected as the first bishop of the Episcopal Diocese of Eastern Michigan in 1996. He has served as Rector of Episcopal congregations in Wisconsin, Indiana, Minnesota, as well as serving as the Dean of Christ Church Cathedral in Darwin, Australia. He earned an undergraduate degree in physics from the University of Wisconsin, a Master of Divinity degree from Nashotah House Seminary in Wisconsin, and a Doctor of Ministry degree from the University of the South in Sewanee, Tennessee. He also has honorary Doctor of Divinity degrees from Nashotah House Seminary, and from Huron College Seminary in London, Ontario. Material for Awakening Grassroots Spirituality: A Celtic Guide for Nurturing and Maturing the Soul, was gathered during a three month Sabbatical pilgrimage to Ireland, Wales and Northumbria in 2003. Ed has led retreats on spiritual formation where he blends together his background in science, Jungian psychology and Celtic spirituality. Ed also has interest and experience in ministry development and clergy role discernment. Bishop Leidel has a passion for coaching small churches. See The small church coach for details. Bishop Leidel lives in Glendale, Wisconsin with his wife Ira. Is Vicar of the Old North Church and Dean of the Boston Harbor Deanery in the Episcopal Diocese of Massachusetts. He holds a Masters in Urban and Environmental Policy as well as a Masters of Divinity. Steve has thirty years experience as a parish priest including ten years experience in interim ministry. He also managed a community development consulting practice for ten years, helping churches develop affordable housing. Steve's interest in clergy career development began twenty five years ago with his own need to decipher the Episcopal Church Deployment Office computer profile. He has conducted extensive analysis of the CDO system which has been published in both diocesan and national clergy newsletters. He has also researched techniques for writing resumes, responding to questionnaires and participating in interviews. Steve uses Appreciative Inquiry to help clergy identify their core purpose and then teaches practical skills for communicating that core purpose to appropriate search committee. Steve has offered vocational discernment workshops for the Diocese of Massachusetts, the Massachusetts Episcopal Clergy Association, Fresh Start, and the Episcopal Divinity School. He has successfully coached scores of clergy through ministry transitions. Steve's personal mission is to help clergy navigate the unchartered waters of their vocational journey toward God. He values collegiality, compassion, and clarity. The Rev. 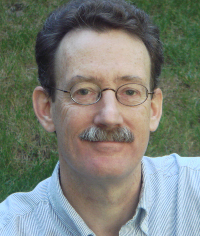 Stephen Ayres has been a clergy coach in the Diocese of Massachusetts for the past fifteen years. He has offered vocational discernment workshops through the Massachusetts Episcopal Clergy Association, Fresh Start and the Episcopal Divinity School. Rev. 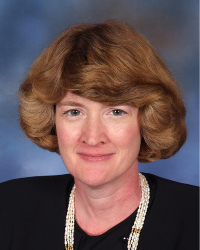 Ayres is a nationally recognized expert in the use of the CDO computer system and has studied clergy coaching through the Clergy Leadership institute. He currently serves as Vicar of the Old North Church in Boston and Dean of the Boston Harbor Deanery. Was seminary trained at the University of the South, Sewanee, TN. Ordained since 1972, he has served in 7 parishes of every size throughout the Southeast, from the smallest mission to a large Cathedral. He received a Doctor of Ministry degree, Lutheran Theological Southern Seminary, Columbia, SC (5/90). His thesis was a project on Sponsorship in Confirmation and Baptism and the Catechumenate Process. Jeff's concern for the well being of clergy and congregations developed during his service in the Diocese of Florida where he co-sponsored events to rebuild camaraderie and support systems for clergy. 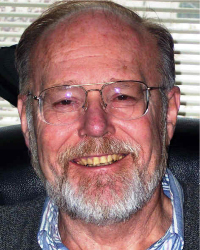 Upon retirement after 31 years in 2003, he became involved in Interim Training with the Appreciative Inquiry model at the Clergy Leadership Institute. He recently completed a two year Interim Rector position at Church of the Advent in Spartanburg, SC, a congregation of 1,800, and has done some Clergy Coaching as well as leading Vestry Retreats using Appreciative Inquiry. He is serving presently as part time Interim Assistant at his local parish . Jeff has been married for 37 years and has 2 grown sons and 1 grandchild. Is a Canadian born and trained Episcopal Priest whose ministry was recharged by the encounter with the Clergy Leadership Institute and embracing Appreciative Inquiry. Over the first twenty years of ordained ministry Geoff was the Rector of three Parishes in Ontario, Canada and two in the Eastern U.S. He is now in his second Intentional Interim position. Geoff's perpetual song is, " every Person and Parish can be the best that they are called to be". The art and process of AI has helped him discover the preferred resources to realize this proposition for himself and others. The songs the same the melody is just a little different and it seems to be a hit. With his core values of Discipleship, Inclusion, Engagement and Transformation Geoff's personal mission is to be Credible, Curious, Caring and Entertaining. Geoff is passionate about transitional ministry and committed to building bridges to preferred futures for Clergy and Congregations. Is currently serving as Interim Pastor of First Presbyterian Church in Boonton, New Jersey. A graduate of Drew Theological Seminary, Jean received her M. Div. in 1987. 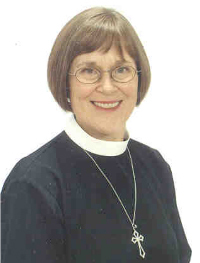 She has been ordained in the PCUSA since 1987. She has experience serving as a Christian Educator, Associate Pastor and Solo Pastor, as well as Interim Associate Executive Presbyter. Jean has been trained in traditional Interim Ministry as well as Appreciative Inquiry. She finds the Appreciative Inquiry approach to ministry and life to be more faithful and effective than any other way. Jean lives in Oakland, New Jersey with her husband, Stewart, who is a Director of Music in the Reformed Church of America and a fifth grade teacher. Together they have two grown children; Dana and Russell, as well as one Golden Retriever; Elijah. Jean is an avid reader, and loves to sip a glass of wine while watching all kinds of movies. was born in San Francisco and has lived on the West Coast and in Canada and Germany. Nicolette attended Penland School of Crafts in North Carolina, where she studied weaving, dyeing and ceramics. She is certified in Design and Development of Instructional Material and Analysis and Instructional Design. Nicolette has an undergraduate degree in Human Resources Design from Webster University in St. Louis, Missouri. Her four majors for this degree are Communications, Design, Behavioral Science and Business Management. She has a Masters of Divinity degree from Seabury-Western Theological Seminary in Evanston, Illinois. Nicolette discovered Appreciative Inquiry in industry and applied it by instinct in teaching creativity. She began to live into what she now refers to as "living incarnationally" when she attended the Clergy Leadership Institute's basic Appreciative Inquiry course as her first continuing education seminar in 2003. 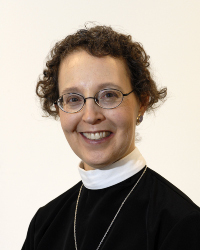 A priest in the Episcopal Church, Nicolette is currently serving in her third position as an Intentional Interim. A writer by trade, Nicolette formerly worked in industry in public relations, advertising and training. She has led retreats, workshops and quiet days in industry and the church in human relations, art, quilting and creativity. Being a priest, writer and quilt artist are Nicolette's primary passions. Her other interests are indoor sports: reading, cooking, eating and sleeping. She keeps company with two household despots (otherwise known as cats) who collectively total nearly thirty pounds. Nicolette's personal mission is to "bring out the best in others with love, laughter and lunch."